I’m so thrilled to announce that I will be back out on the road with an amazing new show this fall! This show is about insanity, and about the anger I feel about everything happening in the world right now, from police brutality to racism to the rising tide of violence against women. 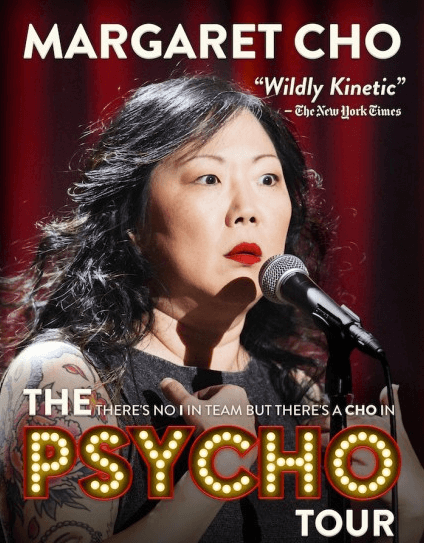 It makes me so crazy – hence the title: “THE PSYCHO TOUR” because there is no “I” in team but there is a “CHO” in psycho”.